We know waking up at 6 am in the morning is not for everybody, but we also know that in this case is always worth it. 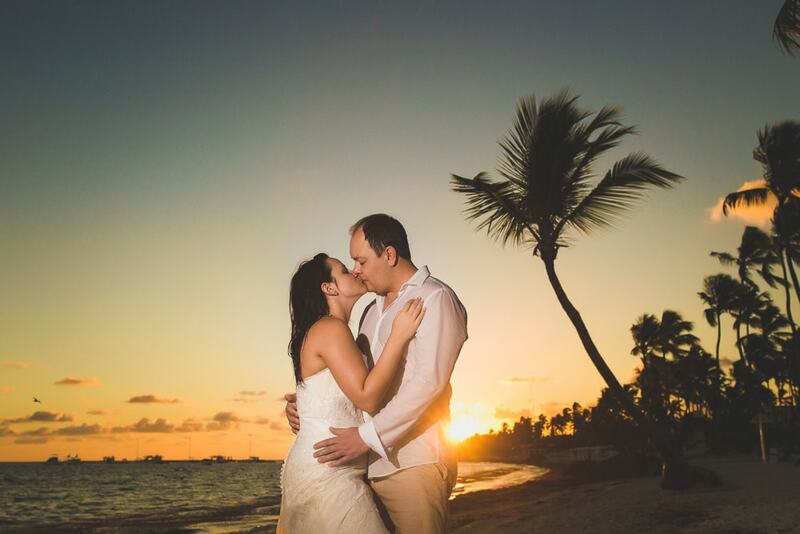 Luckily, Olga and Vlad decided to get a little less sleep after their wedding, so they could enjoy the amazing sunrise Dreams Palm Beach has to offer. And what better way to watch the sunrise but with your feet in the Caribbean water? 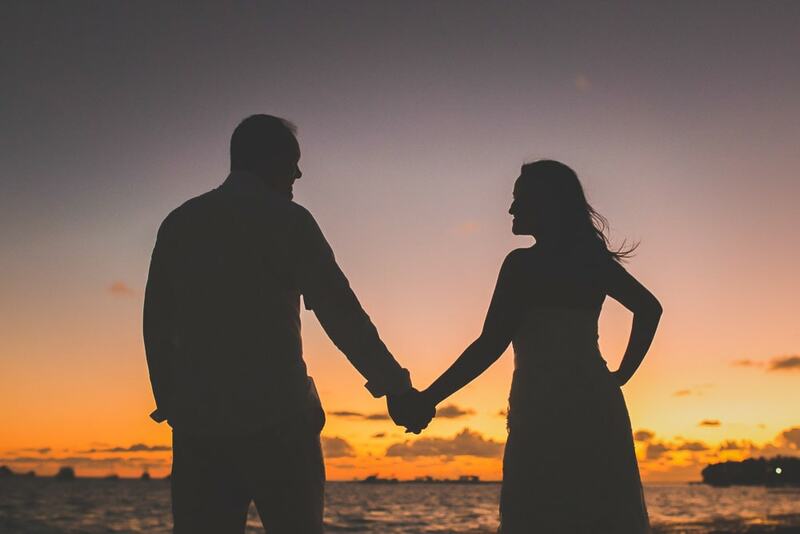 Taking pictures at sunrise is not only a great experience because of the great light you get, but also because there is a different energy between the bride and groom, with the way they interact and you can tell. 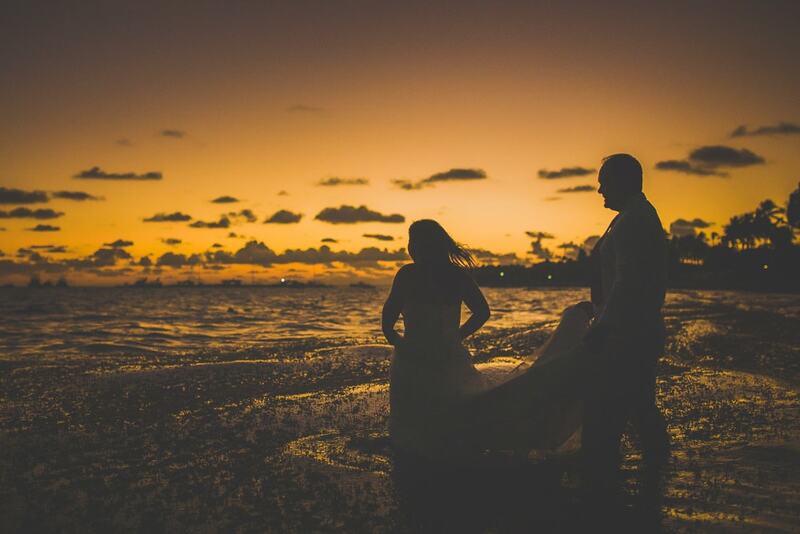 Being able to enjoy the company of your partner watching the sunrise in Punta Cana is an incredible experience. If you can get pictures of that moment, it does’t get better than that! Without a doubt, we recommend to wake up early, enjoy the sunrise with your beloved one and cherish that moment, with or without pictures. A Trash the Dress session can be done at dawn but it is not really compulsory if that’s what you were thinking! It really depends on the light you want to have. You can have them later in the morning, like 9am, or maybe at sunset, around 5 or 6pm depending on the time of the year. The sun doesn’t set on the ocean in the lovely Punta Cana beaches, but it does rise there, so maybe you can consider sleeping a little less after all.